Chapter 7 bankruptcy may be an effective strategy for wiping out debts that are causing you financial hardship. By filing Chapter 7 in Arden-Arcade, you may be able to erase medical debt, credit card debt, business debt, and more. Chapter 7 bankruptcy can also postpone foreclosure, while preventing debt collectors from harassing or contacting you. If you need help getting unmanageable debts and expenses under control, Chapter 7 bankruptcy could be the right place to start. While Chapter 7 can have positive effects on your future, it’s important that you consult with a knowledgeable bankruptcy lawyer in Arden-Arcade before you start the process. 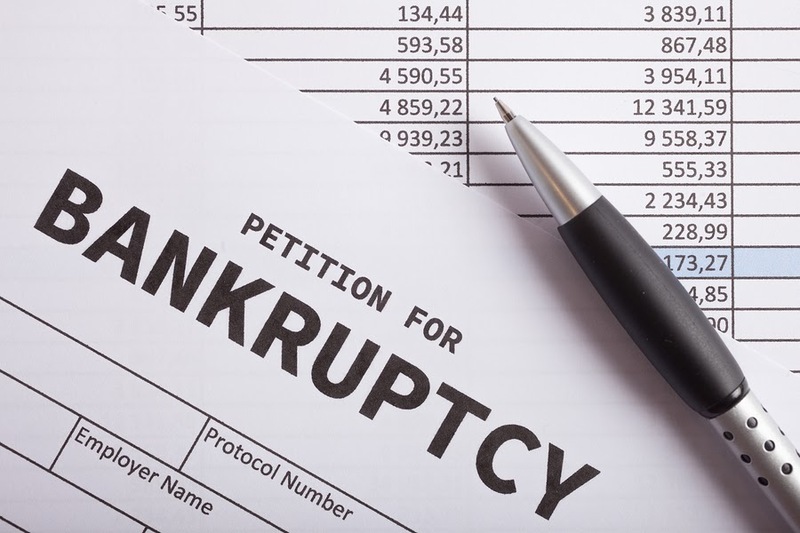 Chapter 7 bankruptcy regulations often cause confusion for debtors, which can lead to wasted time, wasted money, and even the dismissal of your case by the bankruptcy court. Make sure you have skilled legal representation from a bankruptcy law firm you can count on. For a free bankruptcy consultation about Chapter 7 in Arden-Arcade, call the California Chapter 7 lawyers of The Bankruptcy Group at (800) 920-5351 today. Is Chapter 7 or 13 Bankruptcy Better for Me? Businesses and individuals in Arden-Arcade have multiple options for filing bankruptcy. Each is called a “chapter” of bankruptcy, named for a chapter of the U.S. Bankruptcy Code. While there are several options for bankruptcy in Arden-Arcade, most debtors file either Chapter 7 bankruptcy or Chapter 13 bankruptcy. These are the most widely used forms of bankruptcy in California. Though both processes can resolve the financial difficulties that are caused by excessive debt, they approach this goal very differently. In Chapter 7, a trustee liquidates (sells) some of the debtor’s property to pay the debtor’s creditors. However, debtors are often able to keep all or a significant portion of their property. In Chapter 13, the debtor instead agrees to a long-term repayment plan, or “reorganization” plan, as a condition for keeping their property. When the case ends, the court “discharges” various debts, so that the debtor is no longer liable for them. These debts, which are called “dischargeable” debts, include medical debts, credit card debts, business debts, debts arising from past-due utility bills, and others. At The Bankruptcy Group, our attorneys have many years of experience handling Chapter 7 cases and Chapter 13 cases on behalf of businesses and individuals. Whether you are filing individually, filing jointly with your spouse, or you operate a small business, including corporations, partnerships, limited liability companies (LLCs), and sole proprietorships, our law firm can help you make a smart, cost-efficient decision about which chapter of bankruptcy best suits your needs, abilities, and goals. If I File Chapter 7, What Happens to My Home and Car? Because filing for Chapter 7 is a major financial decision, it is important to assess the consequences carefully, with assistance from an experienced bankruptcy attorney in Arden-Arcade, before beginning the process of filing. However, with that in mind, most of the common fears people have about bankruptcy are based on inaccurate information. For example, filing for Chapter 7 bankruptcy does not always cause the loss of a home or vehicle. Even though Chapter 7 is a liquidation bankruptcy, the California bankruptcy exemptions may be sufficient to protect the debtor’s real property, personal vehicle, and other belongings and assets. Moreover, the Chapter 7 bankruptcy trustee may decide to abandon, or refrain from liquidating, certain assets. Another common concern expressed to our bankruptcy attorneys is that filing Chapter 7 will ruin the person’s credit forever. Again, this is generally not true. Though it’s accurate that a bankruptcy will initially have a negative effect on the debtor’s credit score, the debtor can begin to repair their credit soon after bankruptcy. The debtor may qualify for major loans within just a few years of receiving their discharge, including FHA home loans. When a person is deep in debt, it can be impossible keep up with monthly expenses, which makes it extremely difficult to build good credit. With many debts wiped out by the Chapter 7 discharge, the debtor will have more financial freedom to practice the habits that improve a low credit score, like paying bills in full and on time. In this way, Chapter 7 bankruptcy can lay the foundation for improved credit in the long term. Bankruptcy is a highly technical and detail-oriented process. When handled properly, it can be a turning point that takes you from insolvency to financial stability – but without a Chapter 7 attorney to guide you, it is easy to make costly, time-consuming mistakes. The sooner your case is resolved, the sooner you can obtain relief from debt. Do not allow your bankruptcy case to be delayed or damaged by avoidable errors. Instead, get representation from a well-known bankruptcy law firm that is respected for its track record of favorable case outcomes. The Bankruptcy Group handles Chapter 7 cases on behalf of Arden-Arcade residents throughout the city, including Anna Bell, Arden Square, Bell Arden, Bell Street Oaks, Country Club Cove, Del Norte Oaks, Del Paso Manor, Epling, Exeter Square, Fredericksville, Gordon Terrace, Maywood Gardens, Miramar Estates, Mission Acres, Morse Glen, Rio Del Oro, Trimble Orchard, Valhalla Houser, Walnut Glen, Wilhaggin, Winding Way Oaks, and other Arden-Arcade neighborhoods. We will be there to manage every aspect of your case, from bankruptcy documentation and representation before creditors to answering your questions and advising you as to the tax consequences, consequences for your business, and more. Start getting your debt under control today. For a free legal consultation about declaring Chapter 7 in Arden-Arcade, call The Bankruptcy Group at (800) 920-5351.